Motor vehicles and parts were Canada's biggest export after energy products, representing about 16 percent of the C$7.4 billion ($5.7 billion) in shipments over the first four months of this year. The Canadian auto industry directly employs about 130,000 people and contributes more than C$20 billion annually to gross domestic product, according to the Canadian Vehicles Manufacturers' Association, which represents the Canadian arms of General Motors, Ford Motor Co. and Fiat Chrysler Automobiles. If the tariffs are implemented, they would shave about 0.6 percent off Canadian economic growth, estimated Brett House, deputy chief economist at Bank of Nova Scotia. With the economy growing at about 2.2 percent, that's lopping off more than a quarter of growth, he said. "There's no question it would be felt." Five automakers -- GM, Ford, FCA, Toyota Motor Corp. and Honda Motor Co. -- produced about 2.2 million vehicles in Canada last year. Approximately 85 percent of those vehicles are exported, with the vast majority going to the U.S. The most popular models shipped to the U.S. include the Toyota RAV4 and the Honda Civic, both assembled in Ontario plants. If the U.S. imposes a 25 percent tariff on those exports, suddenly they don't make much economic sense, said Kristin Dziczek, vice president of industry, labor and economics at the Center for Automotive Research in Ann Arbor, Mich.
"It's not an economically feasible prospect to import vehicles to the U.S. market in a 25 percent tariff situation," she said. "It would be very difficult to sustain a Canadian industry without relatively free access to the U.S. market." 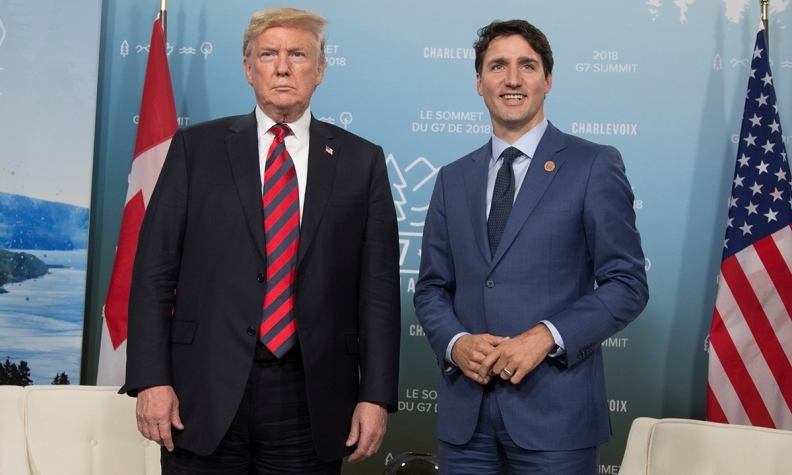 Most analysts agree that the tariffs would also be bad for the U.S. American consumers would have to pay $5,000 to $7,000 more for their vehicles on average, potentially reducing U.S. auto sales by 4 million to 5 million units a year, said DesRosiers, who called it "a nightmare scenario."